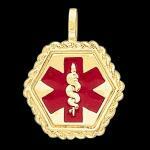 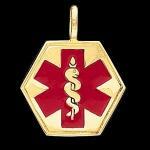 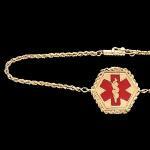 Our medical ID bracelets and pendants are engravable on the back, and are crafted from solid 14K gold. 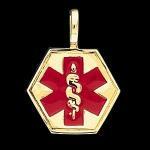 They help to alert medical providers when needed. 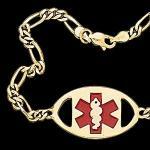 Engraving important medical information, including medical conditions, medications, can alert medical personell to your particular needs in the event of an emergency.